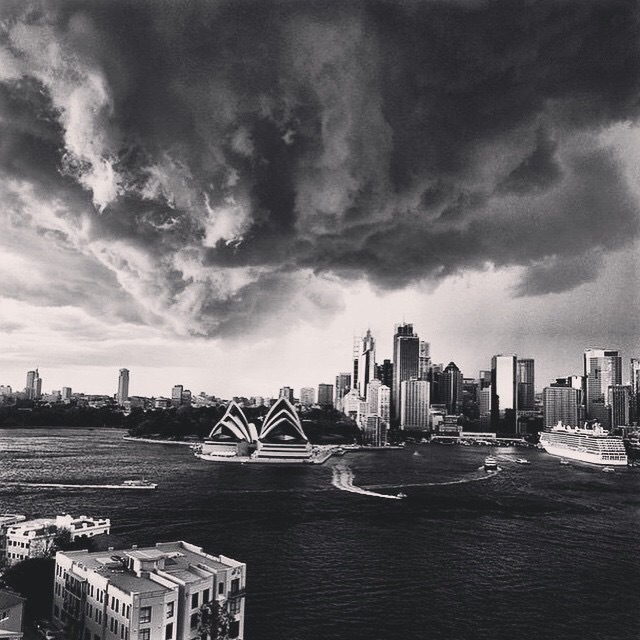 Having faced a pretty stormy week here in Sydney it’s the perfect opportunity to look into the interesting sights and unusual activities that go on during harsh conditions. 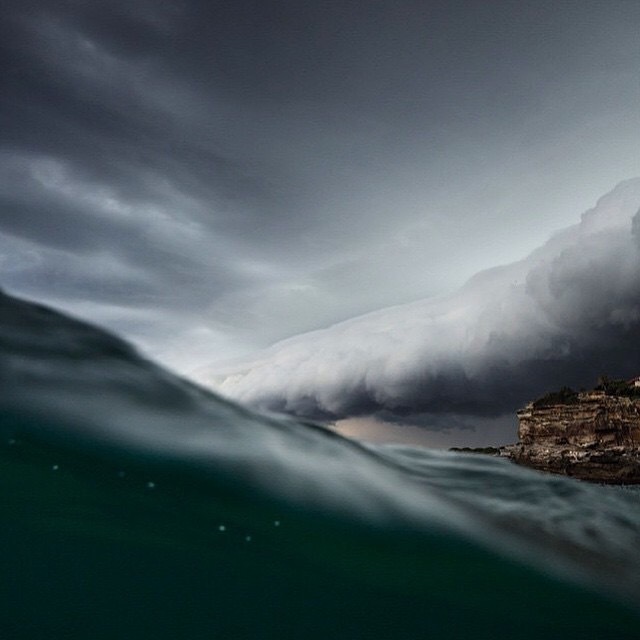 Firstly, this week brought around 11m waves which rolled in off the Pacific coast and landed on the beaches of Sydney. 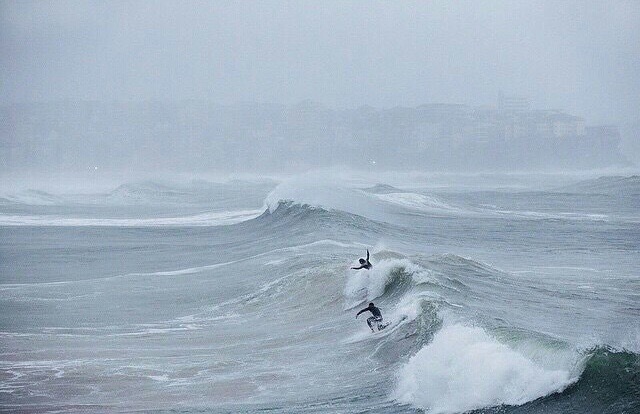 While most of us were at work or ‘working from home’ a select few braved the elements to surf some of the biggest waves seen in Sydney during the past decade. On the harbour-side the swell created unusual surf spots around Balmoral, Fairlight and even the Opera House! The scale of the waves brought out the thrill seekers in Sydney and we’ve looked up a few more interesting ways to make the most of monstrous swells and stormy conditions. This clip is from the talented Lewis Crathern who caught a pretty large gust of wind to scale Brighton Pier in the UK back in 2012. 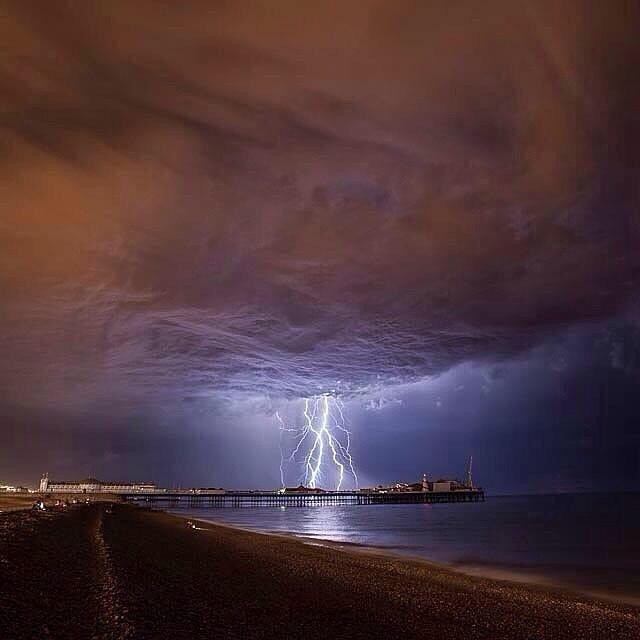 Now Brighton Pier isn’t exactly small so at first we thought this was a fake! 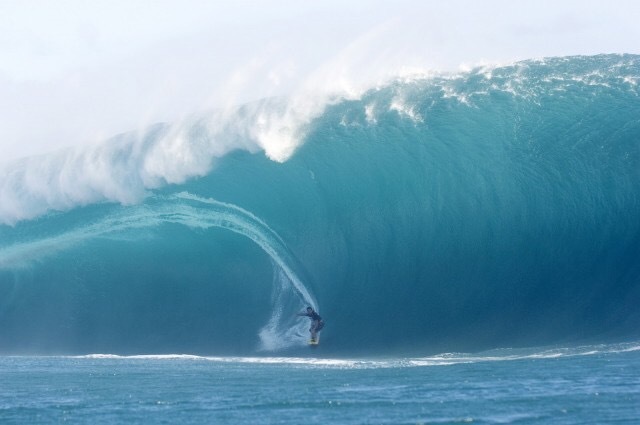 The sport is not as popular as it was back in the 90’s but Australian Jason Polakow has carved out his niche in chasing the famous Jaws in Hawaii. The beautiful scenery and zen nature of Tahiti, French Polynesia kicks up some extraordinarily large waves with a competition or two held there a year. These master waves bring out the worlds bravest and best surfers. 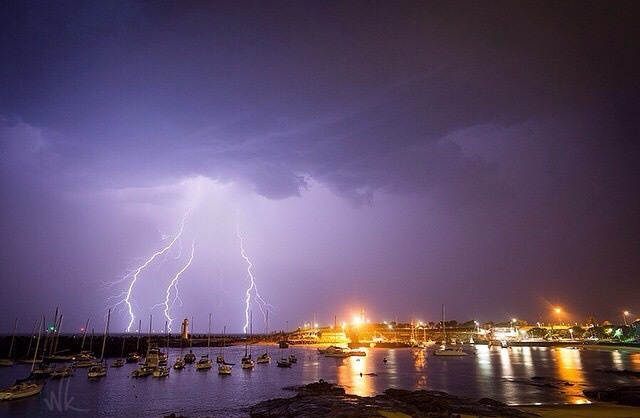 Not only do the adventure seekers enjoy a storm, the photographers do also. As long as you keep your lens dry, their are some pretty special shots to be taken if you are simply at the right place at the right time. 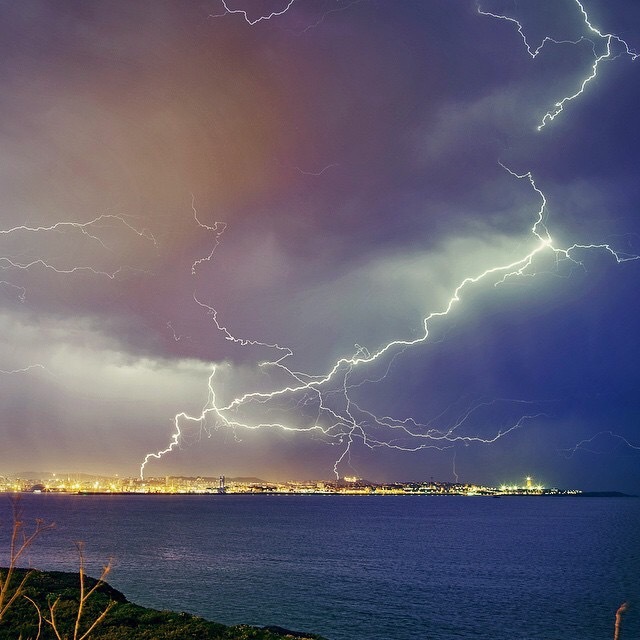 Here are some fantastic captures of lightning storms from around the world. Photo: @artabrorum – La Coruna, Spain. Photo: @warrenkeelan – Wollongong, Australia. Photo: @borisbeissner – Brighton Beach, UK.